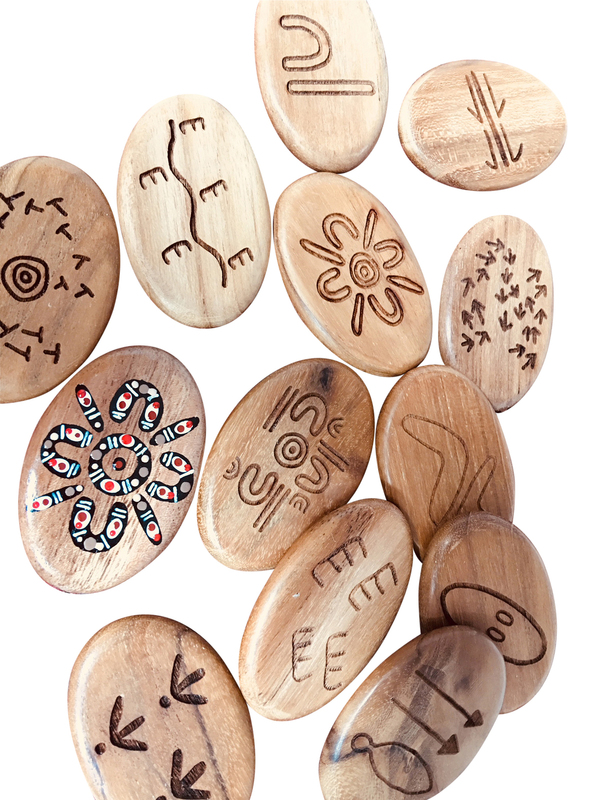 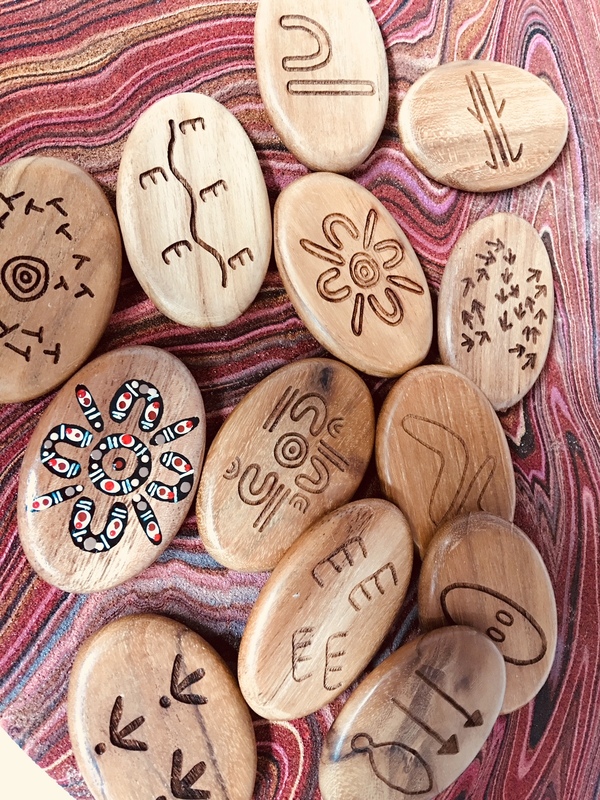 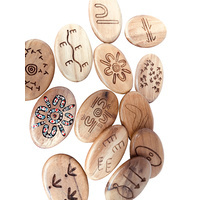 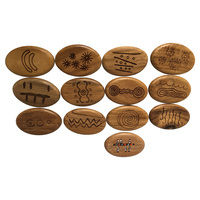 Designed by a local nyungar artist these 12 Hunting & Tracking story stones are made of wood and engraved with indegenous symbols. 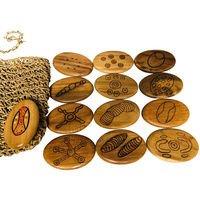 Each set also contains a hand painted and sealed stone. 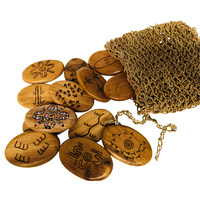 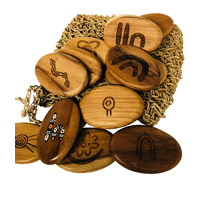 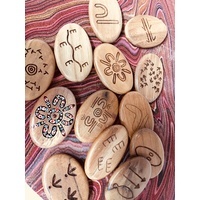 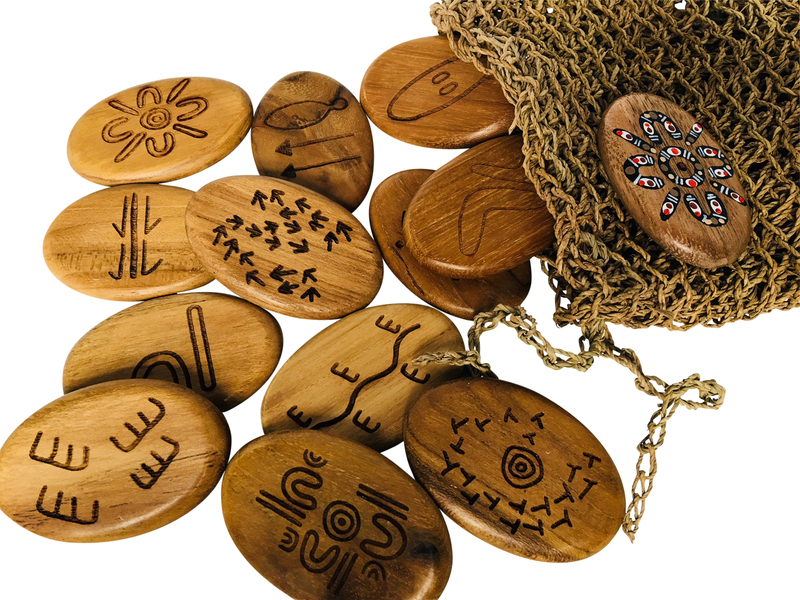 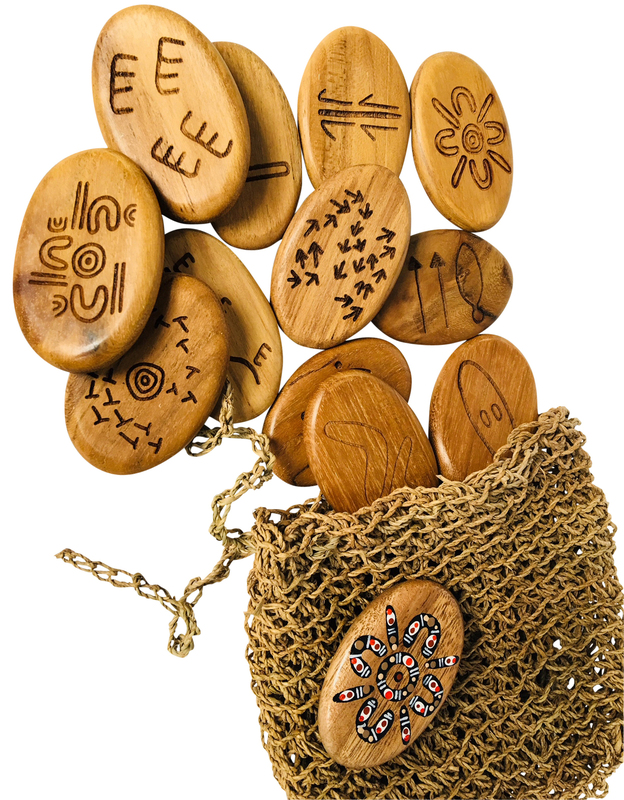 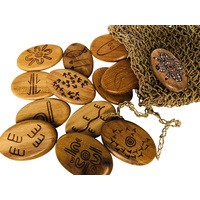 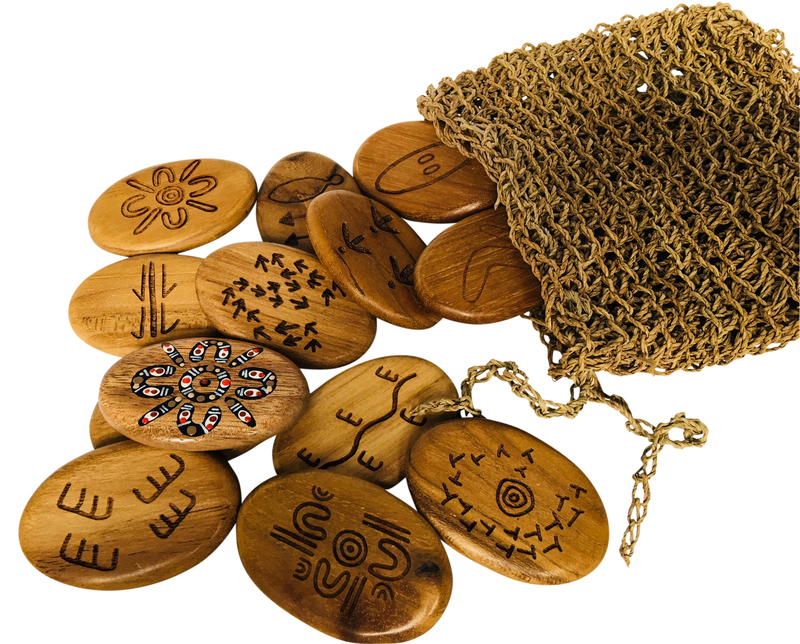 To assist you to understand each symbol we have included a factsheet explaining the history of story stones in addition to the symbols represented in this set. 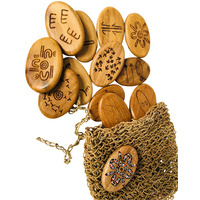 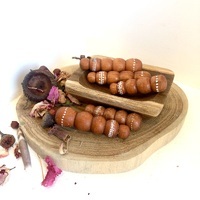 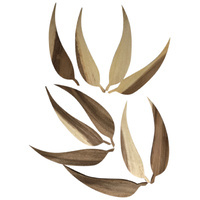 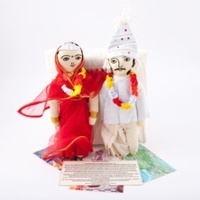 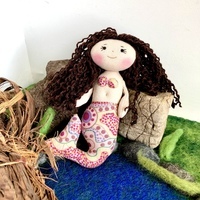 Each set is packaged with a handmade dilly bag for storage.